Have you ever looked at a golf ball and wondered why the surface isn't flat? The surface is covered in little indentations called dimples, and they serve an important purpose! If the surface of the ball were smooth, it would greatly alter the flight of the ball. In the past, older beat up golf balls were being used in place of new unblemished ones. This was because golfers noticed that they tended to fly farther than their newer counterparts. This showed there were serious flaws in the design, as a new product should typically be of higher value than its older counterparts. This led to the development of the golf ball we use today. It revolutionized the golf ball industry into a billion dollar industry. To check out a bit of history on the golf ball, click here. The golf balls used today have between 300 and 500 dimples on the surface. Typically the dimples are circular, but there are other designs that use different shapes. Callaway produced the HX golf ball, which uses hexagons instead of the typical spheres. The depth of these dimples is 0.010 of an inch, as it most effectively optimizes the aerodynamics of the ball. A different depth can also change the speed and the distance travelled. The ball leaves behind a turbulent wake, which effects the amount of drag on the ball. The dimples essentially lessen the size of the wake, which results in about half the amount of drag that a smooth ball has. In addition, this concept also relates to soccer balls and baseballs. As a result they both have ridges to create a textured surface to have a similar effect as the dimples on a golf ball! The golf ball design has changed over time, and has become a billion dollar industry. As a result, large amounts of money is invested in research and development of the ball. This leads to tweaks in ball design, therefore resulting in higher quality product. There are tons of designs to choose from, therefore there isn't a 'right' ball that you should be using. 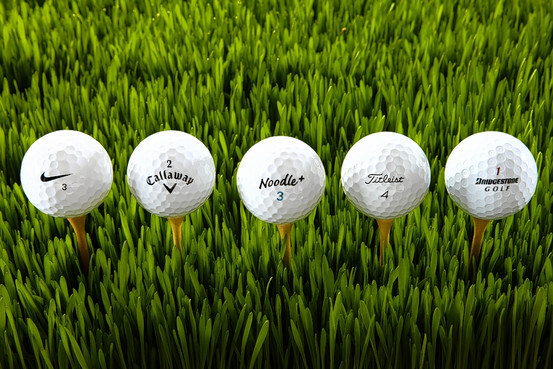 Try out a few different golf balls to see which one best suits your game! Pick up a few different varieties and head over to Willow Valley to test out your favourite! Click here to book a tee time or call us at (905)-679-2703.